Lee Bradley | DRTV Talent. Direct response television talent. Female and male talent for your direct response tv campaigns. 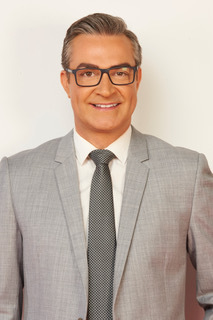 Lee Lives between Sydney and Los Angeles allowing him a truly unique access all areas to the perfect lifestyle and locations for his TV work. His insistence on being fully prepared at all times stems from running his successful production business, gaining skills which allow autonomy and a ‘Can do’ approach to every new venture. Hand him the brief and the job will be done. 1000’s and 1000’s of hours on Live TV have given him the confidence and drive to take on TV projects Internationally, often using his skills as a marketeer to assist brands with their oversea expansion and growth. Lee was chosen as Nespresso’s Australian ambassador, appearing in a nationwide billboard and online video campaign for this Iconic brand. Lee Recently completed five years of continuous travel, appearing on National TV in Germany, Italy, Russia, France and the U.K. acting as Brand frontman for Oil of Morocco, bringing awareness of the brand to millions of people in 5 different languages. 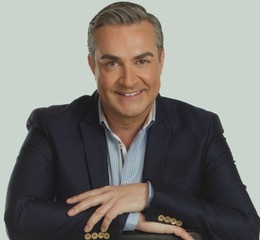 Lee successfully won the role as TV brand Ambassador for philosophy for the U.K and U.S.A. His ability to integrate fully with the vision of brand led to a financially successful TV. Partnership, taking philosophy to the World’s Number 1 TV beauty brand. Lee is an avid traveller. He has been asked to road test some of the World’s most exclusive properties and Vessels and holds a unique knowledge of Luxury travel and accommodation. His voice has been used in Commercials on both Television and Radio and his public speaking skills are second to none. He appeared on BBC radio 4 in a main role in Charles Dickens. A Christmas Carol. A role with Shaun Pertwee in a season of Channel 4 plays exposed Lee to the wider British audience. Lee has worked with screen and theatre A listers including; Emma Thompson, Geraldine Mc Kewan, Jon Bon Jovi, Geri Haliwell and Victoria Beckham. Lee is terrific at thinking on his feet having the knowledge and experience in Live Television and pre-recorded scripted pieces. His warmth and charm appeal to such a wide audience that he is highly sought after across the Oceans.